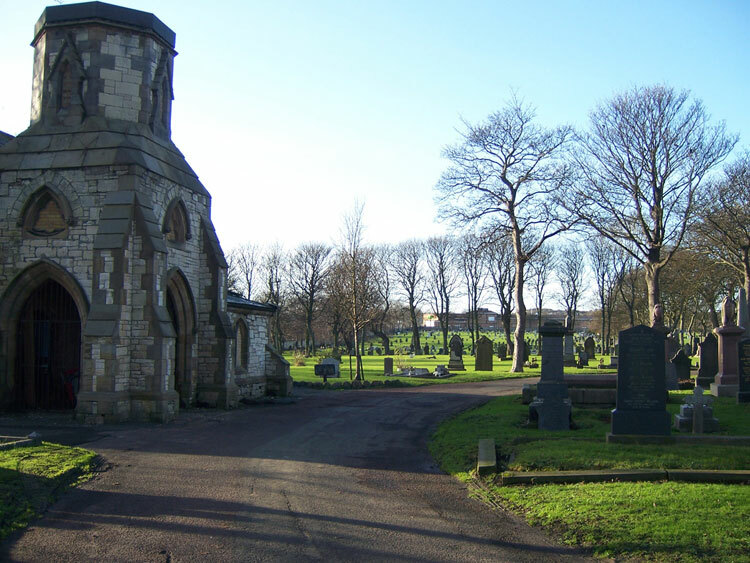 Sunderland (Ryhope Road) Cemetery contains 159 burials from both the First and Second World Wars. Four soldiers who served with the Yorkshire Regiment are buried in this cemetery. Select the above image for a larger version, which opens in a new window. Private William Burton. 22211. 1st Battalion the Yorkshire Regiment. Enlisted Sunderland, Resided Sunderland. Husband of June Burton. Died at home 5 April 1919. Aged 47. From Private Burton's Pension Records, he was posted to India at the end of 1915, but was discharged due to ill health in July 1916. He was awarded a Silver War Badge in February 1917. THE SOUL OF THY SERVANT"
Select the above image for a larger version, which opens in a new window. Private Patrick Coleman. 23741. 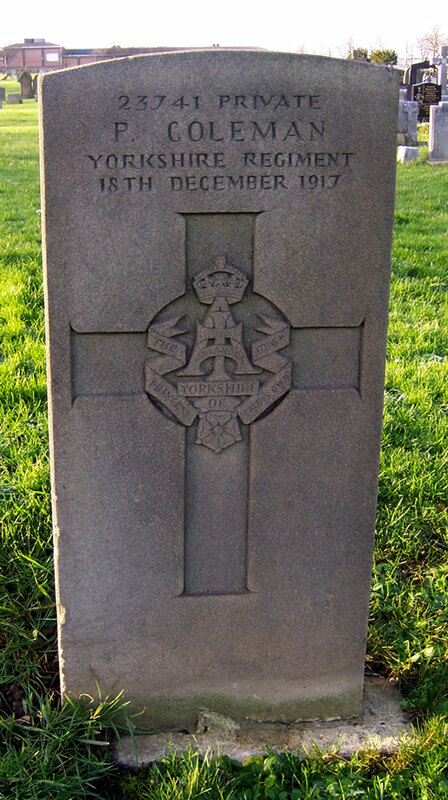 13th Battalion the Yorkshire Regiment, transferred to (156684) Labour Corps. Died at home 18 December 1917. Born Sunderland (Durham), Enlisted Sunderland (Durham). Select the above image for a larger version, which opens in a new window. 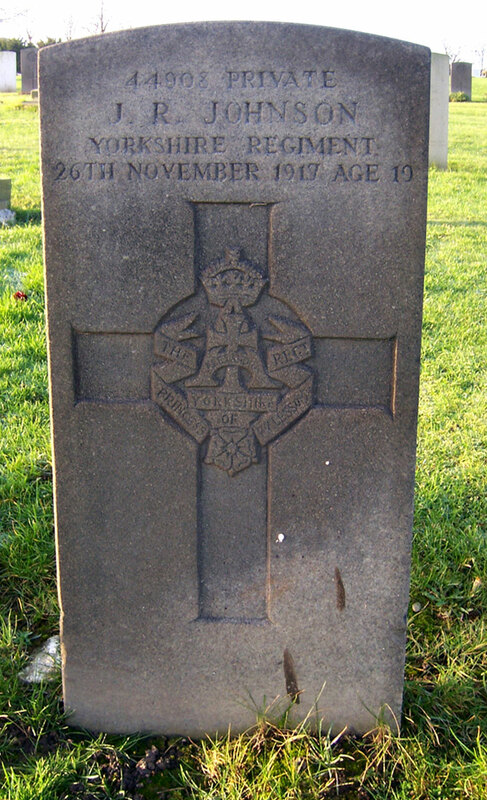 Private John Richardson Johnson. 44908. Depot the Yorkshire Regiment. 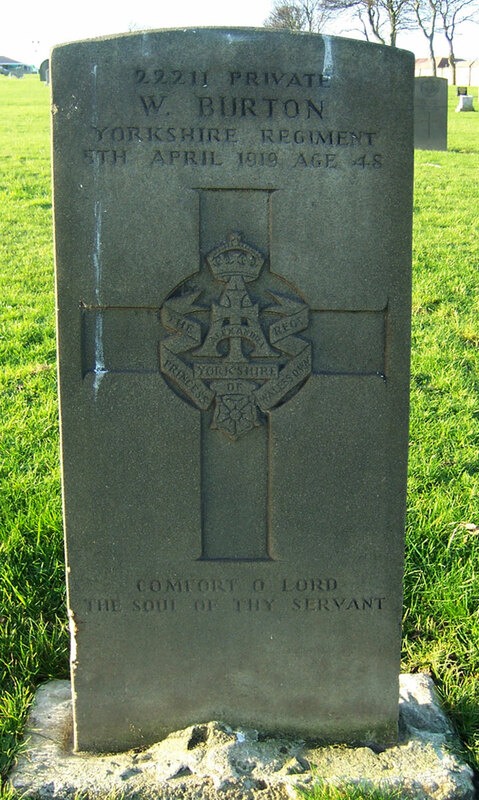 Died at home 26 November 1917. Aged 19. Select the above image for a larger version, which opens in a new window. 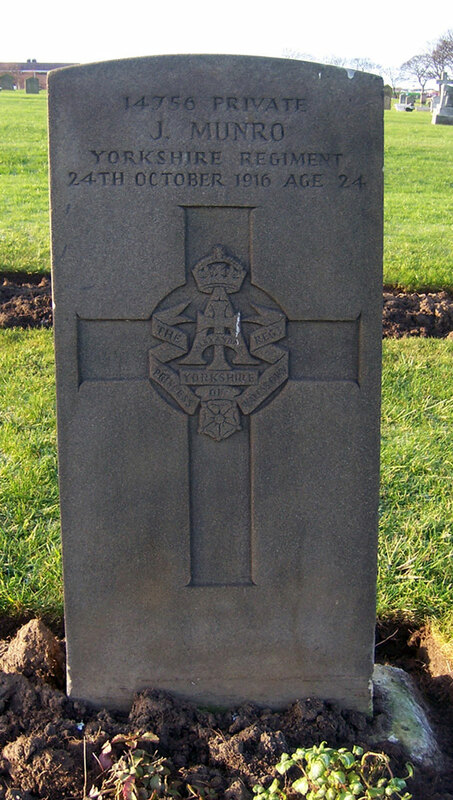 Private John Munro. 14756. 6th Battalion the Yorkshire Regiment. Died at home 24 October 1916. Aged 24.